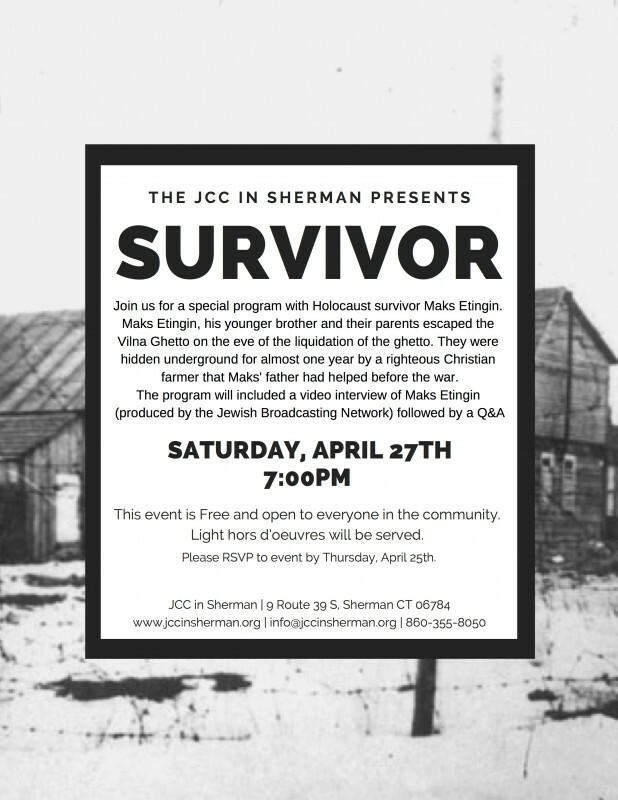 Join us for a special program with Holocaust survivor Maks Etingin. Maks Etingin, his younger brother and their parents escaped the Vilna Ghetto on the eve of the liquidation of the ghetto. They were hidden underground for almost one year by a righteous Christian farmer that Maks' father had helped before the war. This event is Free and open to everyone in the community. Light hors d'oeuvres will be served. Please RSVP to this event to help us for better planning and staffing.